Why we need to care for the Air Quality? Most of people drink 2-3 liters of water and inhale more than 15,000 liters of air per day. We spend 80% of time in indoor environment but we are not aware of the air quality surrounding us. Studies have proved a good indoor air quality, appropriate ventilation with clean fresh air can reduce infections and chronic lung diseases. On the contrary, poor indoor air quality can contribute to the development of infections, respiratory diseases and allergies. What is contained in our breathing air ? 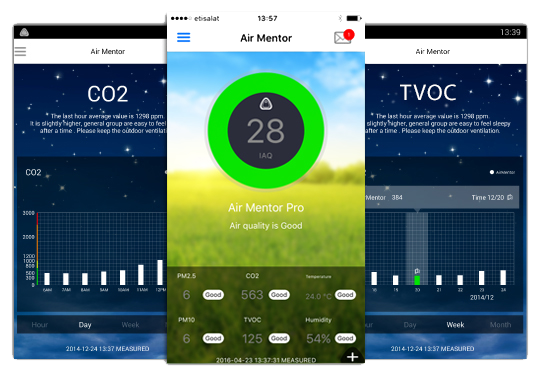 AIR MENTOR is an intelligent air quality monitoring device. With built-in industrial grade sensors, it can stably monitor air pollutants including Particulate Matters, Total Volatile Organic Compounds and CO, CO2, together with environment temperature and relative humidity. Its soft breathing light indicates the air quality surrounding you. The combination of LED light shows the air quality on each level with different color and breathing frequency. The Air Mentor is engineered to collect air quality information from indoor environment including temperature, humidity, carbon dioxide (CO2), total Volatile organic compounds (TVOC), and fine particles (PM2.5/PM10). 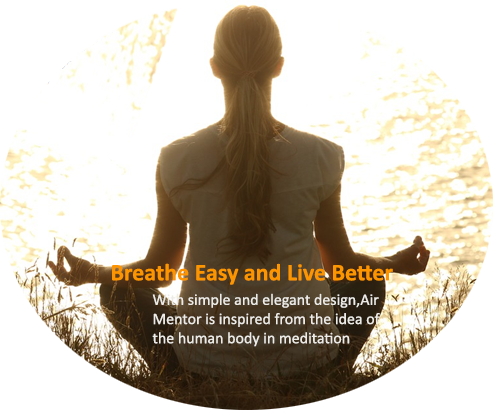 HOW CAN AIR MENTOR PRO HELP YOU? 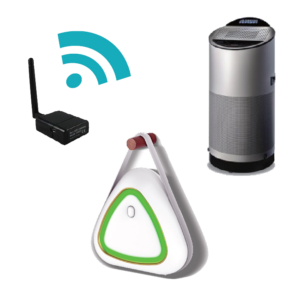 Air Cloud is a set of air quality IoT total solutions. 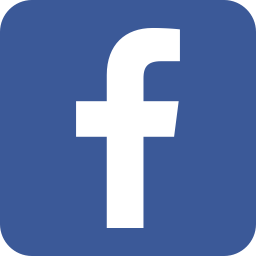 It provides multiple field data analysis and management for you to handle air information from anywhere. Air Bridge is a dedicated device connects multiple Air Mentors to Cloud server which capable to present air information timely.